If you are running a channel on YouTube or Vimeo, you might want to know what people like or dislike about your uploaded content. A simple like or dislike doesn’t serve as a very precise measure to understand your audience. This is especially important if you are uploading advertisement or video demos regarding your product or service. 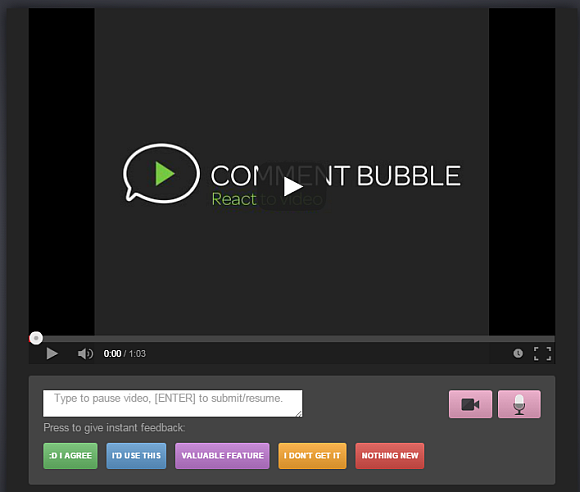 Comment Bubble is a web service which transforms your videos into a customized interface where your audience can respond to the best and worst parts of your Vimeo and YouTube videos. You can get started by pasting your video’s URL and customize up to five buttons which a viewer can press at any given moment to respond to what he/she might like or dislike about your video. How to Use Comment Bubble? You can start off by signing up for an account and uploading or pasting the URL of a video. 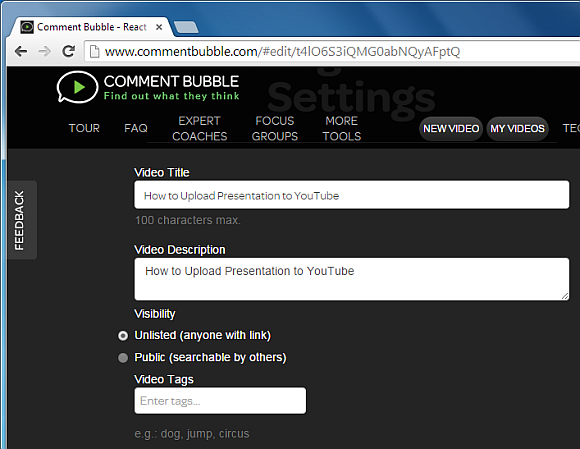 In the next step, add a title, description and other relevant information for your video. 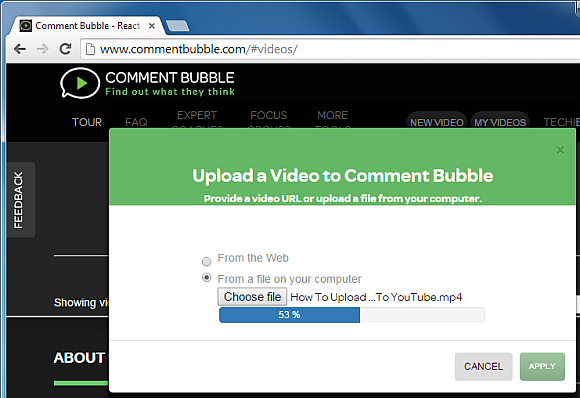 You will also require giving a title to the buttons that users will use to respond to parts of your video. You can also choose to keep your videos searchable publicly or unlisted (only people with link can view them). Name the buttons in such a way that they reflect an opinion (e.g. Good, Bad, Boring, Interesting, etc). After your video is complete, your users will be able to respond to different parts of your video using the comment buttons (as shown below). You can find out how to use Comment Bubble and what benefits it can have for your uploaded videos from the developer’s video tutorial given below. One of the best things about Comment Bubble is that users who respond to your videos will not require logging in with an account of any kind, which makes it possible to get comments anonymously and instantly.